Congratulations to Fiji on winning the Olympic Gold! We are overjoyed to see that Fiji took the gold medal in rugby at the Olympic games in Rio De Janeiro. The Fijians had Great Britain from the first half! Captain Osea Kolinisau scored the first of Fiji’s seven tries with a 29-0 lead against Great Britain. The Fijians scored twice more in the second half before the final score of 43-7. Fiji has sent athletes to the Olympics ever since the Melbourne games in 1956, but this was the country’s first Olympic medal. Rugby was back in the Olympics for the first time since it was played in 1924 with a 15-a-side tournament. In 2009, the International Olympic Committee decided to add the rugby sevens back for Rio. 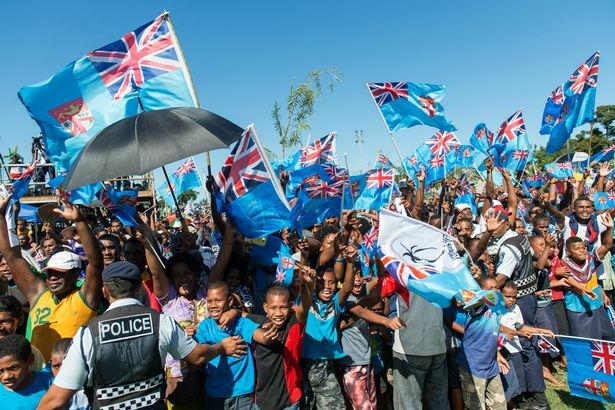 A bank holiday in Fiji was even declared in the Fijian team’s honor for the Monday after the team won. That’s some Fijian Spirit! Fiji has always shined in rugby, the country’s national sport. If you’ve been to Fiji, then you probably know this because it’s so common to see locals playing rugby in the villages. We recently posted in July (here) this history of rugby in Fiji and just how amazing Fijians are at this sport. Our clients come back home from vacation in Fiji and remark about how they got invited to play rugby with the locals. One couple visited a village and met the school children in their classrooms. They got to hear the beautiful voices of the children singing in class and spent much of their day in the village learning about their culture. The couple recalled a special memory of being invited to play rugby with the children at recess. They recalled looking at their smiling faces as they joined the game, overlooking the crystal clear blue water in the distance. And they also remarked just how good the children were at the sport! Well done, Team Fiji on a very special Olympic Gold!